Join Rakia Newsletter and get an Exclusive Coupon! 【Protection Coverage】➤ The hardness of 9H+ effectively protects phone screen from scratches, shock-proof, waterproof, as well as wear-resistant. 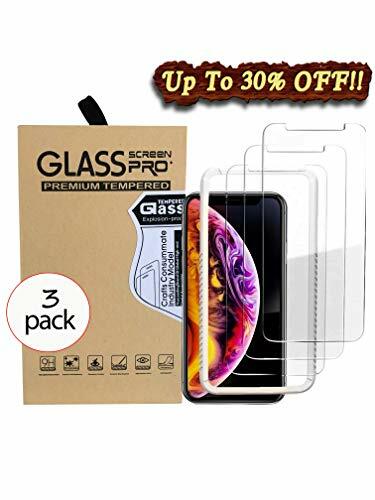 【Anti-shatter protection】➤ Broken tempered glass will not shattered into many pieces, and shattered glass is not sharp, so User is well protected. 【Sensitive Touch Capabilities】➤ Provides sensitive touch and high responsive touch that enhances the 3D touch function. 【Oleo-phobic Coating on screen】➤ Waterproof, Stain-proof, Dirt-Proof. Makes Screen easy to clean.